Discussion in 'HYIP Discussion' started by All-HYIPs.info, May 13, 2018. 19.05.18 09:29;Account;Receive;Received Payment 1.5 USD from account U15297264 to account U1294000. Batch: 215161761. Memo: API Payment. Withdraw to allhyips from HighTech Forex. 17.05.18 19:30;Account;Receive;Received Payment 1.5 USD from account U15297264 to account U1294000. Batch: 215031047. Memo: API Payment. Withdraw to allhyips from HighTech Forex. 20.05.18 20:41;Account;Receive;Received Payment 1.5 USD from account U15297264 to account U1294000. Batch: 215290236. Memo: API Payment. Withdraw to allhyips from HighTech Forex. 19.05.18 18:22;Account;Receive;Received Payment 1.5 USD from account U15297264 to account U1294000. Batch: 215202366. Memo: API Payment. Withdraw to allhyips from HighTech Forex. 21.05.18 19:54;Account;Receive;Received Payment 1.5 USD from account U15297264 to account U1294000. Batch: 215385405. Memo: API Payment. Withdraw to allhyips from HighTech Forex. 23.05.18 18:17;Account;Receive;Received Payment 1.5 USD from account U15297264 to account U1294000. Batch: 215592101. Memo: API Payment. Withdraw to allhyips from HighTech Forex. 22.05.18 19:42;Account;Receive;Received Payment 1.5 USD from account U15297264 to account U1294000. Batch: 215485447. Memo: API Payment. Withdraw to allhyips from HighTech Forex. 25.05.18 19:34;Account;Receive;Received Payment 1.5 USD from account U15297264 to account U1294000. Batch: 215795707. Memo: API Payment. Withdraw to allhyips from HighTech Forex. 25.05.18 10:08;Account;Receive;Received Payment 1.5 USD from account U15297264 to account U1294000. Batch: 215750896. Memo: API Payment. Withdraw to allhyips from HighTech Forex. 27.05.18 19:29;Account;Receive;Received Payment 1.5 USD from account U15297264 to account U1294000. Batch: 215955949. Memo: API Payment. Withdraw to allhyips from HighTech Forex. 26.05.18 18:50;Account;Receive;Received Payment 1.5 USD from account U15297264 to account U1294000. Batch: 215875021. Memo: API Payment. Withdraw to allhyips from HighTech Forex. 28.05.18 18:44;Account;Receive;Received Payment 1.5 USD from account U15297264 to account U1294000. Batch: 216050090. Memo: API Payment. Withdraw to allhyips from HighTech Forex. 31.05.18 10:09;Account;Receive;Received Payment 1.5 USD from account U15297264 to account U1294000. Batch: 216316414. Memo: API Payment. Withdraw to allhyips from HighTech Forex. 29.05.18 18:36;Account;Receive;Received Payment 1.5 USD from account U15297264 to account U1294000. Batch: 216151820. Memo: API Payment. Withdraw to allhyips from HighTech Forex. 02.06.18 12:07;Account;Receive;Received Payment 1.5 USD from account U15297264 to account U1294000. Batch: 216824897. Memo: API Payment. Withdraw to allhyips from HighTech Forex. 31.05.18 20:07;Account;Receive;Received Payment 1.5 USD from account U15297264 to account U1294000. Batch: 216366310. Memo: API Payment. Withdraw to allhyips from HighTech Forex. 04.06.18 08:50;Account;Receive;Received Payment 1.5 USD from account U15297264 to account U1294000. Batch: 216977388. Memo: API Payment. Withdraw to allhyips from HighTech Forex. 03.06.18 09:48;Account;Receive;Received Payment 1.5 USD from account U15297264 to account U1294000. Batch: 216896615. Memo: API Payment. Withdraw to allhyips from HighTech Forex. 04.06.18 21:22;Account;Receive;Received Payment 1.5 USD from account U15297264 to account U1294000. Batch: 217048910. Memo: API Payment. Withdraw to allhyips from HighTech Forex. 06.06.18 20:51;Account;Receive;Received Payment 1.5 USD from account U15297264 to account U1294000. Batch: 217235836. Memo: API Payment. Withdraw to allhyips from HighTech Forex. 07.06.18 20:51;Account;Receive;Received Payment 1.5 USD from account U15297264 to account U1294000. Batch: 217333335. Memo: API Payment. Withdraw to allhyips from HighTech Forex. 09.06.18 19:20;Account;Receive;Received Payment 1.5 USD from account U15297264 to account U1294000. Batch: 217521964. Memo: API Payment. Withdraw to allhyips from HighTech Forex. 08.06.18 19:30;Account;Receive;Received Payment 1.5 USD from account U15297264 to account U1294000. Batch: 217426409. Memo: API Payment. Withdraw to allhyips from HighTech Forex. 10.06.18 19:50;Account;Receive;Received Payment 1.5 USD from account U15297264 to account U1294000. Batch: 217607681. Memo: API Payment. Withdraw to allhyips from HighTech Forex. 12.06.18 18:15;Account;Receive;Received Payment 1.5 USD from account U15297264 to account U1294000. Batch: 217790902. Memo: API Payment. Withdraw to allhyips from HighTech Forex. 11.06.18 19:02;Account;Receive;Received Payment 1.5 USD from account U15297264 to account U1294000. Batch: 217697401. Memo: API Payment. 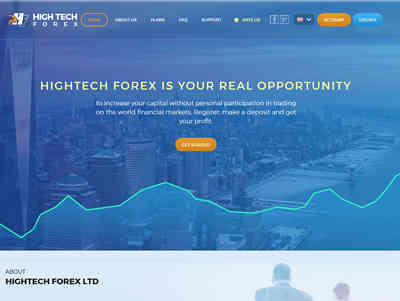 Withdraw to allhyips from HighTech Forex.